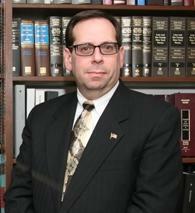 Mr. Jasne is a founding partner of the firm and a graduate of New York Law School. He holds an undergraduate degree from New York University. Upon graduating from Law School, he was appointed an Assistant District Attorney in Bronx County, where he served for approximately five years. Since leaving the District Attorney's Office, Mr. Jasne has engaged in private practice, primarily in the areas of criminal and civil litigation. In addition, Mr. Jasne is responsible for the firm's commercial-creditor bankruptcy practice. Mr. Jasne is a member of the New York State Bar and is admitted to the United States Court of Appeals for the Second Circuit and to the United States District Courts for the Southern and Eastern Districts of New York.